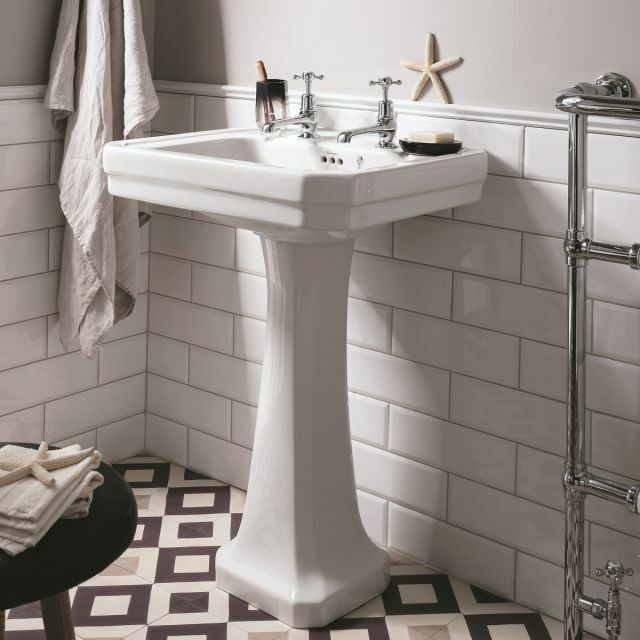 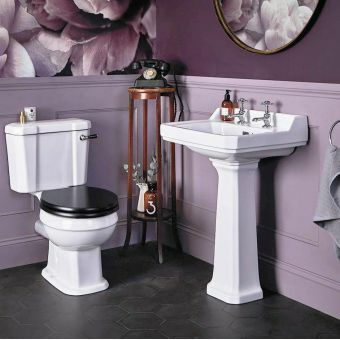 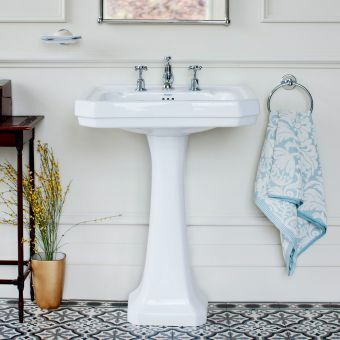 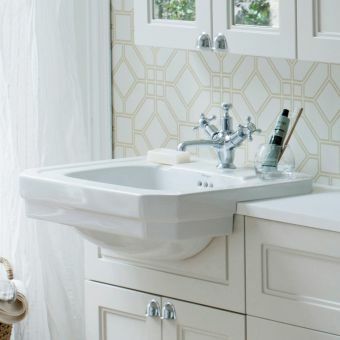 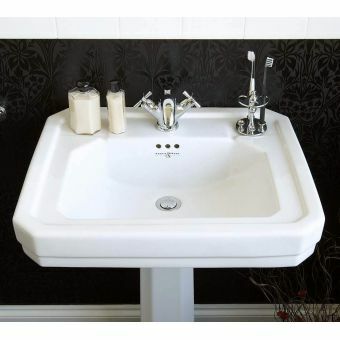 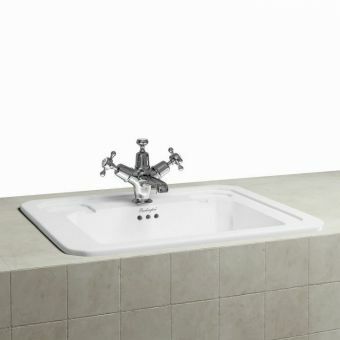 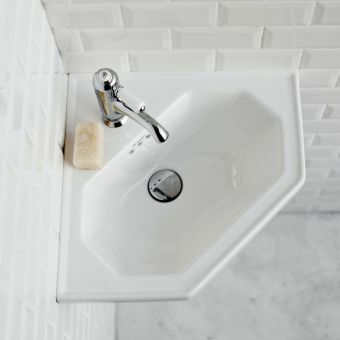 Burlington’s Victorian style basins are octagonal in shape with smart looking, squared faceted sections where a regular rectangular basin would come to a 90 degree corner, this adds an additional element of decorative style to the Victorian basin giving it an authenticity. 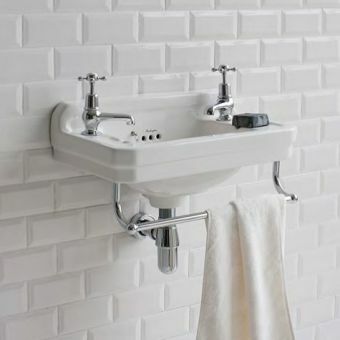 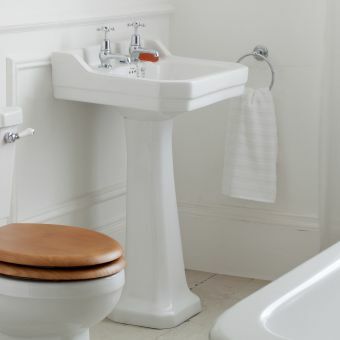 This will help you create a traditional style bathroom with ease, select from 1, 2 or 3 tap holes and pair your basin with one of the lovely Burlington bathroom basin taps to match. 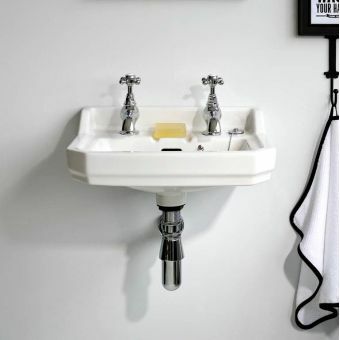 A waste will be required in addition. 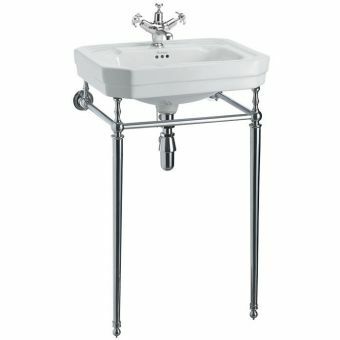 On a technical note the 3 tap hole basin version is not compatible with the semi pedestal which is why it does not appear as a configuration. 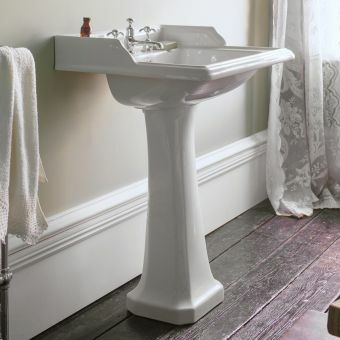 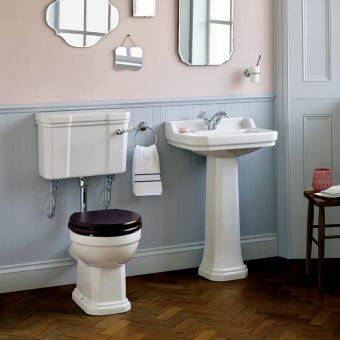 Choose from a full height, or raised height full pedestal for a traditional look, or for a cleaner lighter look opt for a semi pedestal or bottle trap. 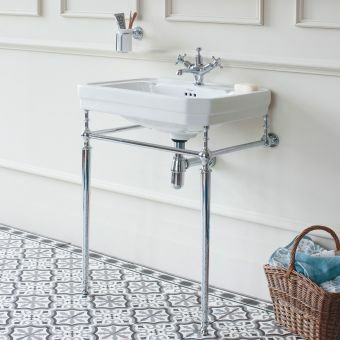 A towel rail can be added to complete the look, this is a really handy towel rail in a Victorian style that sits at the front of the basin.